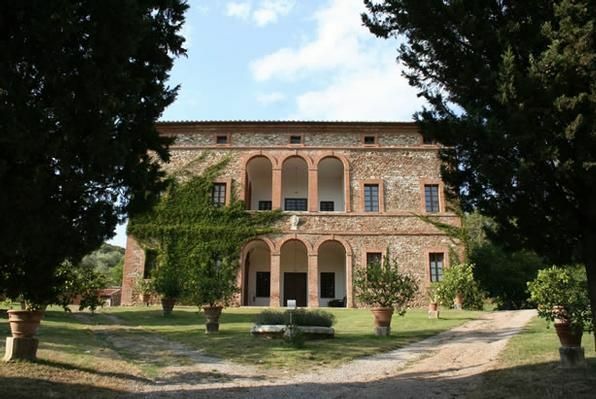 Villa Buoninsegna has 2 swimming pools situated in two different parts of the garden: the smaller one is 10mt x 5mt and the bigger one is 14mt x 7mt. The apartment 2302 Podere Goito consists of: The apartment keeps the original structure and finishings.At the first floor you fnd the kitchen and a spacious living and dinig room with TV and fireplace.Little bathrom with shower and washing machine. On the second floor you find 2 bedrooms (one with a duoble bed and the other with two single beds), bathroom (with the tub), a coatroom. Outside area with table and chairs.There are some antique furnitures. Other facilities: dishwasher, hairdryer.